Pro Service Cleaning LLC, is the best residential/commercial window washing company in the area. We service towns like MIami, Ft Lauderdale, Pompano Beach, Boca Raton, Hollywood, Weston FL, and others in Broward and Palm Beach County. 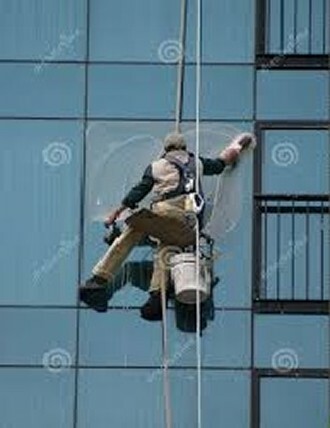 We provide an array of janitorial services, but we are well known for our professional window washing. If you are in need of window washing services, look no further. Our clients come from a variety of businesses and facilities. We are able to complete large or small projects, with our highly trained staff. We are able to complete any commercial building window washing job you ask us to do, in a timely and efficient manner. We offer competitive rates and flexible schedules for your convenience. Call us for any special pricing questions or to learn about any discounts that may apply. We also only hire well trained cleaning professionals, with experience and skill. Our staff is courteous and efficient. We also have transportation available so we can get to your site when needed. We offer window washing as a service on its own, but we also offer other services as well if needed. Our skilled employees are trained to do floor care, pressure washing, floor waxing, marble polishing, and much, much, more! Give us a call today if you would like help with window washing or any of our other services! Pro Service Cleaning LLC, is a Miami Residentkial/Commercial Cleaning company. Our main offerings include: Janitorial Services, Floor Waxing, Carpet Cleaning, Marble Polishing, Window Washing, Office Cleaning Services,Tile and Grout Cleaning, and Janitorial Building Maintenance.